It feels good to be home after a 6,200+ mile round trip for round 3 of the Super Hooligan National Championship. 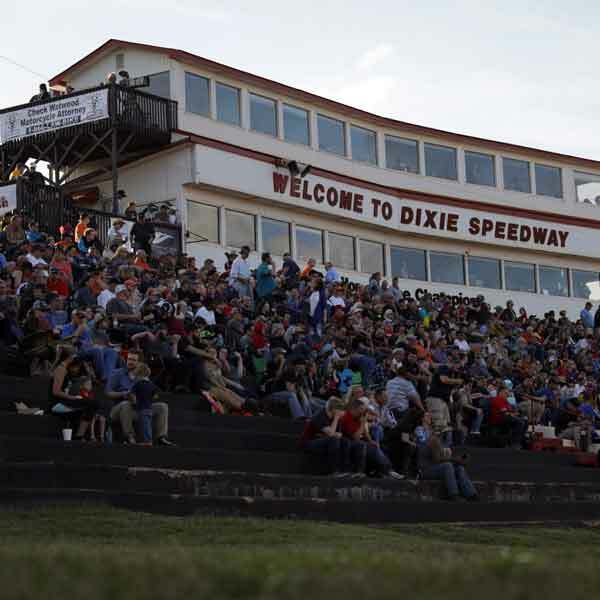 The race took place in conjunction with American Flat Track at Dixie Speedway in Woodstock, Georgia, on March 25th. Pretty crazy to think I drove coast to coast for a 1 night race, but I'm determined to win this Super Hooligan championship! Fortunately for me, my buddy Jimmy Hill wanted to race there, so I convinced him to tag along with me since I was swinging through California on my way to Georgia anyways. Driving solo would've sucked big time. I've known Jimmy for a year through a mutual sponsor of ours, See See Motor Coffee Co, and we just did a bunch of riding on the Alta electric dirt bikes during The One Motorcycle Show last February. I grabbed him Monday the 20th, loaded his bike in my van and hit the road. We weren't in a huge rush to get to Georgia. If we focused hard enough and didn't stop to play, we could've made the cross country journey in under 3 days. But since we had time to spare, we took our time and made the most of the trek. 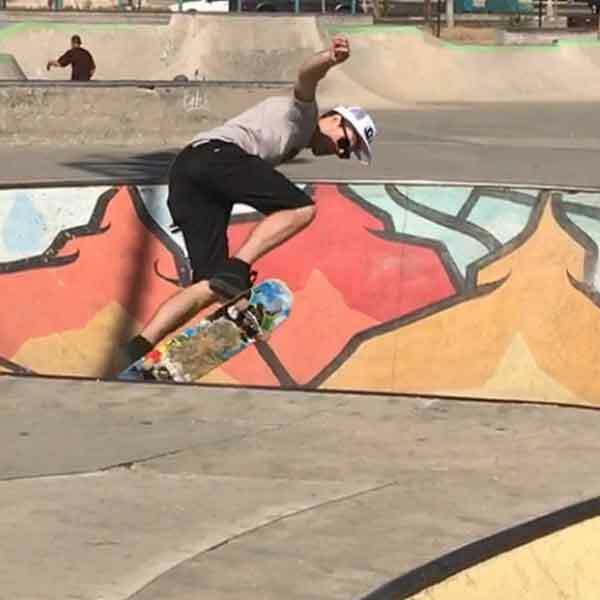 On our way to Georgia, we stopped a a skatepark in Albuquerque, New Mexico, as well as a skatepark in Little Rock, Arkansas. I used to skateboard pretty well, and Jimmy still skates well, so that was a good time shredding some parks to break up the drive! 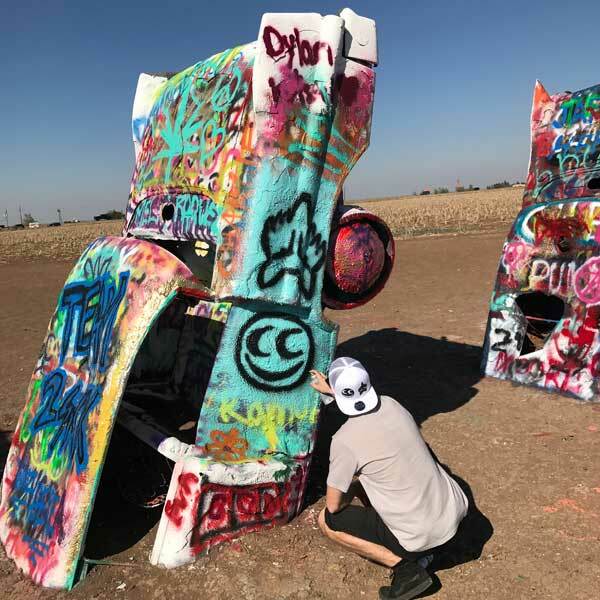 We also stopped at Cadillac Ranch in Amarillo, Texas, to add our mark on the buried cars sticking out of the field. Our last stop was just outside Georgia at Barber Motorsports Park in Leeds, Alabama. I took Jimmy to the famous vintage museum there which was a great time too. We officially rolled into the Atlanta area Thursday afternoon, and settled in. When Friday came around, we got an invite to stay at an Airbnb house with some friends who were in town for the race, which was perfect since we didn't have place booked for Friday and Saturday and we were trying to save as much money as we could. Thank you Leticia Cline, Preston Burroughs, Kristen Lassen, and Giselle Levy for hosting Jimmy and I and being a lot of fun to hang out with! 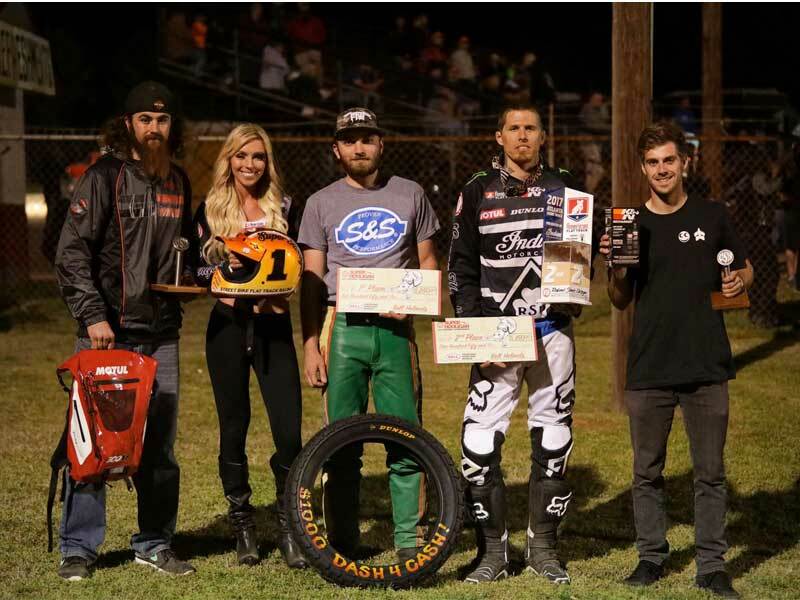 Saturday came quick, and it was time to move in at Dixie Speedway. I was very excited to be at an American Flat Track event. 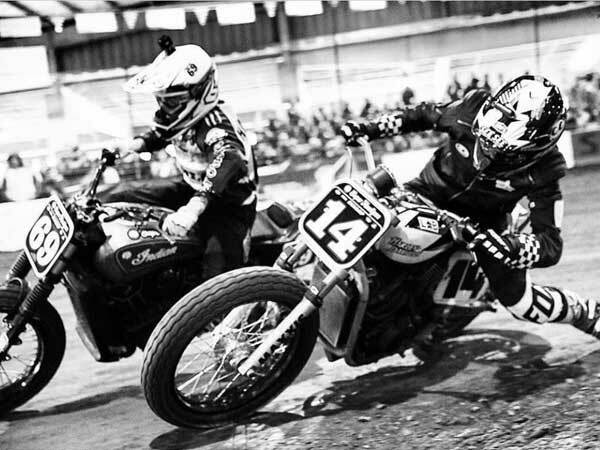 AFT is the national pro flat track series, and I had never been to one of their events before. The professionalism and organization was by far the best of any flat track race I've ever attended. In a lot of ways, it was like being at a MotoAmerica road race to me. They were hosting the Super Hooligan round there, so it was very special to be part of the AFT show which included online streaming, and a TV broadcast later this year. The fans there blew me away too, it was packed! The track was the biggest I've rode too. And the banking was something like what you'd see at Talladega or Daytona! Qualifying went okay, I quickly discovered it was going to be a tough night. The competition was stiff, and I was majorly underpowered on the Harley-Davidson Street 750 against the majority of my competitors on HD Sportster 1200's and Indian Scouts (1100's). There was even a Ducati Scrambler which is an 803cc machine, but its advantage is that it's the only sub 400 pound bike on the track, by a lot! This 3/8 mile banked oval really allowed the bikes to stretch its legs. I qualified 5th. There was 2 heat races, with the top 6 out of each transferring into the 12 rider main event. I had the fastest qualifier in my heat, Jordan Baber, a very experience pro flat track veteran. I got the holeshot, but it didn't take long for Baber on the modified 1250cc HD Sportster to blast by. It was definitely frustrating watching him inch away. 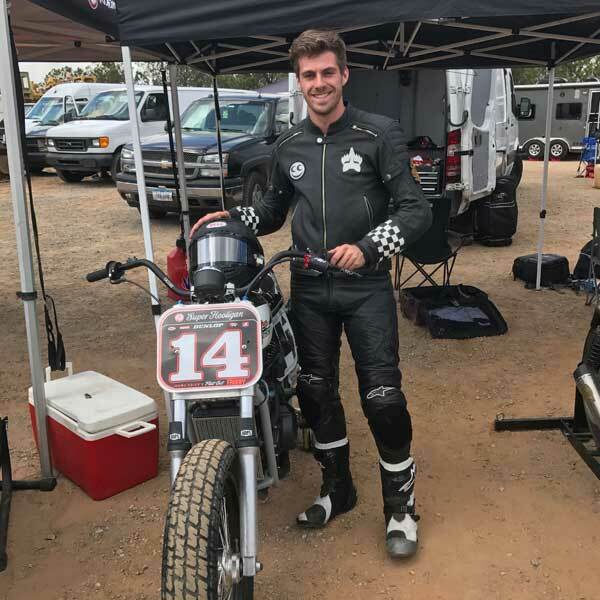 Then I had Miles Thornton, another American Flat Track pro giving me all I could handle on that Ducati Scrambler. I held him off though for 2nd, and a transfer into the 4 rider Dash for Cash! 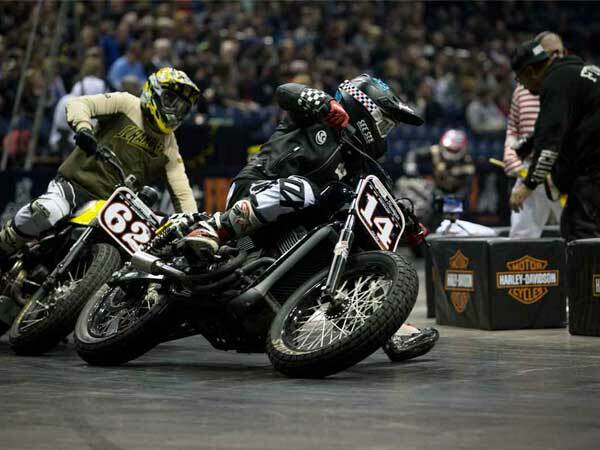 I got the jump off the line in the Dash for Cash, but it didn't matter as Baber, and Jordan Graham on an Indian Scout were able to power by. My goal for the main event was to get a podium somehow. I knew it was going to be very difficult, but I was riding well. When green light flashed, I got the 3rd holeshot of the night and was in 1st place. I won the K&N Filters $200 holeshot award which as cool! As expected, I got passed coming out of turn 2, but I was in the hunt. Graham got by me as well, and I settled into 3rd place. The Baber and Graham would pull me on the straightaways, but I would drive it deep into the corners and carry more roll speed through them to make up for the ground lost on the straights. Surprisingly, they couldn't pull away and I was right on their tales matching the fastest lap of the race of a 20.1. But I just couldn't go any faster, and the power disadvantage was really showing. I would be able to show a wheel in on Graham coming out of the turn, but it didn't matter because the faster bike would walk away, and then I would be back to square one trying to catch back up in the turns. I was riding at the absolute limit, and I nearly crashed doing so. With a couple laps to go, I got out of shape coming out of turn 2 and the bike got into a nasty wobble at about 80 mph, nearly throwing me off. I don't know how I held on and rode it out, because when those heavy Harley's get violent, there's nothing you can do to stop it. You either crash, or the bike works itself out on its own, which happened to me luckily. But that allowed Thornton to capitalize on my mistake, and take over 3rd. I did what I could to regroup as we took the white flag, but I just couldn't get a wheel on him and I took the checkers in 4th position. Honestly, I was surprised I ran in the top 3 as long as I did. But it sure sucked knowing I held that spot for so long and lost it right at the end! But looking at the big picture, it was kind of a win for me. I kept it on two wheels, and earned some solid points to increase my points lead. I have 52 points, and Graham moved up into 2nd place with 33. There is 7 rounds left which is a lot of racing still. Most of the tracks will be much smaller than Dixie, which will play back into my favor with the 750cc bike I race. The next round in Perris, California might be a big track, so I will have to try to get an 800 kit installed to try to get a little more juice! I'm anxious to get back on track and go for that win. Anyway, that wraps up Round 3 of the Super Hooligan National Championship at Dixie Speedway. However, that doesn't wrap up the trip! The day after the race, Matt Lynn, the regional Alta Motors rep in Georgia hit me up to do some riding. 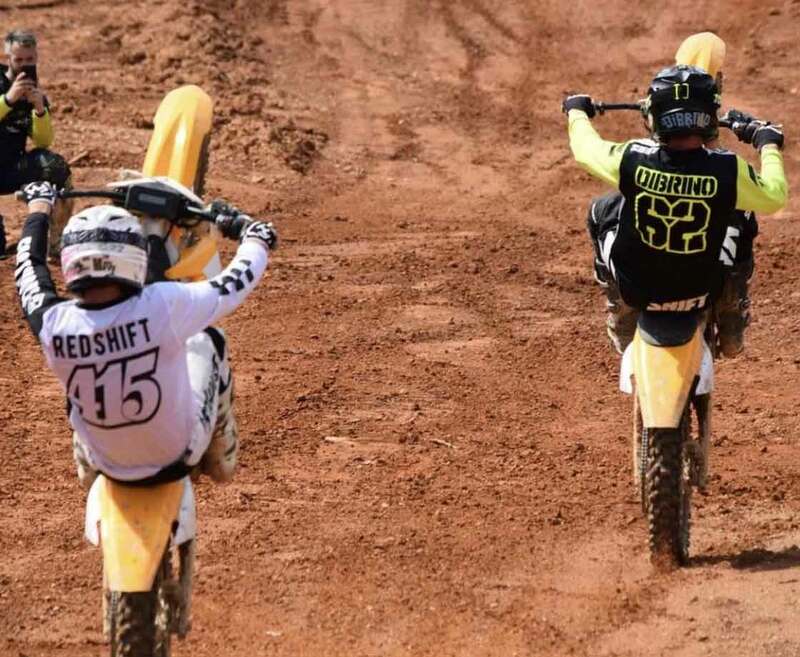 He led Jimmy and I to Highland Park, a 1000 acre riding facility in Georgia with 4 motocross tracks and the rest of the land filled with trails. It was dirt bike heaven! And of course, he had 2 electric Alta Redshift dirt bikes charged up for us. We did a little trail riding and motocross riding to kill part of the day before we headed west. 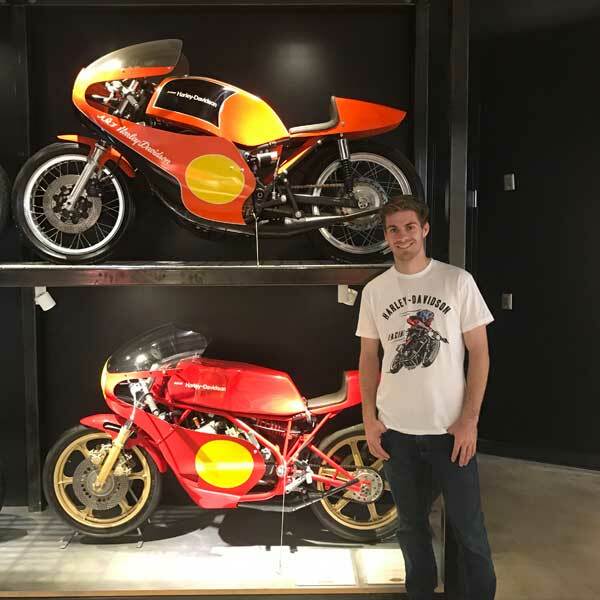 Matt is a badass in his own right, as he is an ex AMA Superbike racer who used to ride for Corona Honda back in the good days of AMA Pro Road Racing. On our way back home, we ended up breaking a tie-rod on the van as we pulled of the interstate to get fuel in Amarillo, Texas on Monday night of the 27th. We got SUPER lucky considering the failure didn't happen at speed, which could've caused a really bad crash. And it happened right in the middle of Amarillo, the only decent sized town in north Texas we would've been passing through. There's next to nothing on either side of Amarillo. We got a nice hotel, and were stuck there for 2 days while a new tie-rod was overnight shipped the next day, and installed the following on Wednesday 29th. We would've been back in California Tuesday night if that hadn't happened, but that was out of our control. There was a really good Italian restaurant across the street to keep our stomachs delighted at least! We also went and saw Chips in the theater, that was hilarious. The van got fixed Wednesday night around 6:30pm, and we drove straight back with only a 4 hour stop at Motel 6 in Flagstaff, Arizona for a nap. We pulled into Caliente, California at 1pm Thursday where I dropped Jimmy off, and then I made my way a few hours north to Fresno where I stayed with my girlfriend for a few days. I finally made it home to Tualatin, Oregon on Sunday night, April 2nd! Again, it feels so good to be home with my parents and pets. But now it's time to go back to school which I'm not stoked about. The hardest and farthest race is out of the way, and now it's just west coast stuff for the next few months which is nice! 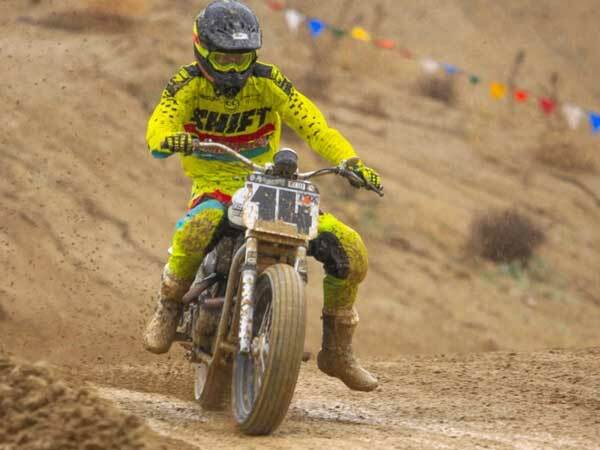 This month I have another Super Hooligan race on April 22nd in SoCal, and then the following weekend is the first race of the Oregon Motorcycle Road Racing Association series at my home track, Portland International Raceway.